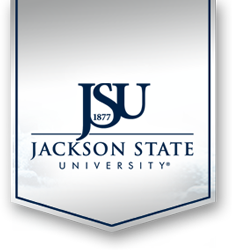 The JSU ADVANCE Bias Awareness component worked to transform the climate and culture at Jackson State University by initiating conversations, collecting data, and infusing bias prevention activities into the campus community. The Bias Awareness strategies were designed to educate and to mitigate bias by examining and addressing issues that impact the recruitment, retention, promotion, career advancement, and career-life balance/integration of STEM and SBS female faculty. The purpose of the Bias Awareness component was to more fully understand the unique circumstances that impact the career advancement of women of color in STEM-SBS at an HBCU; to support dialogue across disciplinary, gender, and racial lines regarding the implicit and/or explicit biases that often shape higher education communities. The Bias Awareness component addressed the issue of bias at all institutional levels: female faculty and their families/social support circles, department chairs, deans, and senior level administrators were exposed to interventions that helped cultivate increased awareness of and sensitivity to bias. • The goal of bias awareness and prevention training is to transform the formal and informal culture of the university by providing information to employees designed to help them understand and eliminate bias. • The overall objective of the bias component is to increase the retention of women in STEM and SBS and support their promotion into associate and full professor ranks. The JSU ADVANCE Team hosted a successful workshop in December 2011, “The Academic Woman: Balancing Responsibilities, Expectations, and Biases,” which formed three focus groups to address the perceptions and realities of gender bias for single female faculty, married/partnered female faculty, and the spouses/partners of the female faculty, and developed a baseline for the development of bias prevention training on the campus of Jackson State University. This workshop particularly addressed the unique issues of work/life balance for academic women of color by exploring the unique relationship dynamics between STEM and SBS women of color faculty members and their spouses/partners. Utilizing mixed methods, including focus groups, pre- and post-surveys and recorded interviews, it was found that women of color at HBCUs not only lack the informal mentoring and support their male colleagues find at work, but also face climates at home where spouses, partners, or family find their work demands unfamiliar. Discussions of the impact of marital status and family life on work success were previously lacking. All three cohorts repeatedly noted a definite benefit of the workshop was development of community across the university, and across families. After the workshop, many women noted feeling less isolated and realizing their difficulties were similar to other women at the institution. Results were published and presented at Twelfth LACCEI Latin American and Caribbean Conference for Engineering and Technology (LACCEI’2014) ”Excellence in Engineering To Enhance a Country’s Productivity” July 22 – 24, 2014, Guayaquil, Ecuador. Title: Transforming Climates for the Academic Woman of Color: Facilitating Greater Understanding in the Workplace Climate and in Social Structures. A consultant provided two one-half day workshops for the Cabinet and Academic Leadership team on the role of implicit bias on decision-making in spring 2013. The goal of the workshop was to help create a better campus climate and culture through a greater understanding of bias. Findings include: 90% of the Cabinet, and all STEM chairs and their two deans were in attendance. Assessment of the event revealed that 100% of Cabinet and a slightly smaller percentage of academic leaders committed to eradicating bias. A higher percentage of Cabinet respondents than academic chairs and deans agreed that: they had biases, people see the world through different lenses, people need to develop more compassion for differing viewpoints, they understand the role culture plays in how people view themselves and others, and they did not clearly understand the dynamics of unconscious perceptions and how they reinforce stereotypes. Both groups left the workshop with a determination to minimize the impact of unconscious bias. The Bias Lead worked with the University Diversity Officer to imbed gender discrimination training into the existent university-wide, mandatory sexual harassment training, for faculty and faculty supervisors. The Chief Diversity and EEO officer—who works closely with the JSU ADVANCE team, revised it to include extensive discussion of gender discrimination more broadly, laws and protections. See Policy Brief. In the Fall of 2013, a consultant was hired to investigate further resistance that was observed among certain chairpersons in the STEM disciplines. Specifically addressed were thoughts and opinions expressed related to the purpose of the grant, that is, to achieve gender equity amongst STEM faculty. One hour interviews were conducted by the consultant with the Dean, Assistant and Associate Deans as well as 10 Department Chairs, Interim Department Chairs and former Department Chairs. The purpose of the interviews was to assess their knowledge of the ADVANCE grant and their support of its objectives. In addition, a focus group was conducted with six female faculty in STEM to determine their opinions about support for faculty development and gender equity at JSU. The purpose of these sessions was to address, educate, and mitigate continuing biases. We put an action plan in place to help address those attitudes and behaviors that we saw through the climate surveys and the focus groups. While there was only slight change in a few STEM departments, great progress has occurred in others. Search and Hiring Committee Training – See Policy Brief. The Implicit Bias Think Tank held during the Spring of 2017 brought together faculty and administrators from across Jackson State University’s campus to explore instances of implicit bias in University policy and practice and to plan activities, policies, and practices on campus and in professional communities that can help identify and mitigate the impact of implicit bias in a variety of situations. The Implicit Bias Think Tank was designed to help participants understand how someone’s race, gender, or other characteristics can influence how we feel about them and treat them even when we believe we are unbiased. Presenters provided research findings and offer perspectives on ways to help prevent implicit bias from informing our decision-making. Through a mix of short presentations, group activities, and guided discussions, we explored some harmful side effects of how implicit bias causes our brains to perceive, categorize, and draw inferences about others. The motivation behind the Think Tank was that it appeared that many outside of STEM inaccurately concluded that Implicit Bias primarily is a problem for STEM female faculty. In order to gain greater support from the broader campus, the ADVANCE Team decided that we needed to ensure that Administrators and faculty Leaders understood Implicit Bias Through Their Own Lens. That is, we wanted Administrators and faculty in Public Health to understand what implicit bias looks like in their discipline and individuals from the College of Education to understand how Implicit Bias impacts how we educate very young learners, etc. Inspired by the success of JSU ADVANCE, the Think Tank addressed biases imposed upon specific populations in a variety of situations across disciplines. By the end of the sessions, the sharing of knowledge, experience, and skills, it was expected that participants would (1) understand implicit bias, (2) identify the impact of implicit bias on campus and community populations, (3) identify strategies to mitigate the impact of implicit bias, and (4) articulate policies and practices to lessen implicit bias in higher education environments and the broader community. These objectives were all achieved. A major recommendation from also all groups within the Implicit Bias Think Tank was additional online training for everyone. In response to the recommendation, JSU ADVANCE partnered with Human Resources and offered an online Compliance Training entitled Uncovering Implicit Bias for all administrators, faculty, and staff. The total JSU population at the time of this training was 1,293. The total number of employees who completed the Training was 1,239. This represents a completion rate of 96%. The JSU ADVANCE Summer Mini Grant Program funded 11 implicit bias research and curriculum redesign projects. For Jackson State University, the Implicit Bias Think Tank has already spawned a number of visible benefits. Proposals for curricular and administrative change submitted by 14 faculty members were selected for summer support for more structured approaches to mitigating implicit bias. The faculty members who submitted the proposals were all attendees at the Implicit Bias Think Tank and were inspired to devote their summer research and curriculum development time to developing strategies that would benefit students, faculty, and staff on campus. Projects were from the Departments of Behavioral & Environmental Health; Computer Science; Counseling, Rehabilitation, and Psychometric Services; Epidemiology & Biostatistics; Music; Political Science; Psychology; Sociology and Criminal Justice; Urban and Regional Planning; and the College of Public Service. • Mitigating bias must be an ongoing, institution-wide effort at all levels: students, staff, faculty, administrators, surrounding community, and in all disciplines. • Strategies for mitigating bias may include revisions to current academic curricula; training for students to identify their biases; faculty development to address bias in teaching, mentoring, and research; and support for conducting and disseminating research on bias at HBCUs. • Gender bias is not the only issue that HBCUs have; bias based on socio-economic status, ethnicity, sexuality, etc. also need to be addressed and mitigated.